Phyllis Gotlieb was a struggling poet, battling writers block in the 1950s, when her husband suggested she try her hand at science fiction. The results led to a series of novels about telepathic societies and star-cats, winning Canada's highest award. 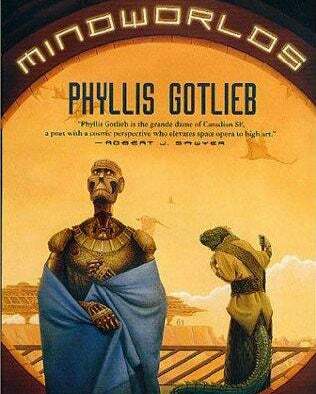 According to CBC News, Gotlieb, the "mother of Canadian science fiction," won an Aurora Award for the best Canadian science fiction and fantasy novel, for 1980's A Judgment Of Dragons. Robert J. Sawyer called her "a poet with a cosmic perspective who elevates space opera to high art." Sunburst was about a community with telepathic powers and the problems it faces, a theme that would frequently resurface in her fiction and short fiction. O Master Caliban! treats themes of genetic mutation. Flesh and Gold looks at a world with more than one sentient race and an unequal balance of power. Her Starcats trilogy features two cats as protagonists. Written in the 1980s, it includes A Judgment of Dragons (1980), Emperor, Swords, Pentacles (1982) and The Kingdom of the Cats (1985). Her final novel, Birthstones, came out in 2007. She died the other day, aged 83, but she left a rich legacy behind.